Thank you to all of the businesses who sponsor the Steveston Athletic Association! Dave’s Fish & Chips is Steveston’s Original and Best Fish & Chips serving exceptional food, at great prices with friendly people since 1978. Dave’s is a family business and their daughter Nicole is a long-time SAA member. Every year, Dave’s hosts a club social night where SAA members enjoy a great evening of fish and chips. One of our SAA bike jersey’s is on display at Dave’s. 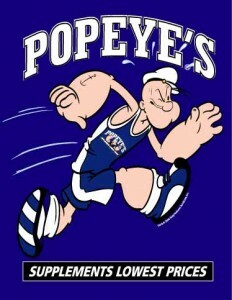 With 85 locations in Canada, Popeye’s sports nutrition stores have been fueling athletes since 1989. Popeye’s Richmond (located on No. 3 Road) offers a discount to current SAA members. Devon, the owner of the Richmond Popeye’s store, is a competitive kickboxer who has represented at Canada and won a world title at the World Kickboxing Championships. Devon owns five different locations in the Lower Mainland, with his most recent store in Vancouver. Aqua Sphere started by creating comfortable eye wear for swimming and now offers a complete range of swimwear, wetsuits, eyewear and accessories. Aqua Sphere provides the SAA with samples of their products that we can use as prizes for our members and club volunteers. Two of our current members, Ross and Pam used to work for Aqua Sphere. Niemi LaPorte & Dowle Appraisals is a full service real estate appraisal and consulting firm, offering appraisal services on residential, commercial, industrial and development land. Additionally, through our NLD Consulting – Reserve Fund Advisors division, we offer reserve fund studies and depreciation reports on strata and condominium properties throughout BC, Manitoba and Saskatchewan. For more information, check us out at www.nldappraisals.com and at www.reserveadvisors.ca. Rowand’s Reef Scuba Shop is 100% owned by Jean-Michel Auzoux, one of your fellow SAA members, and has been in business in Vancouver since 1971. 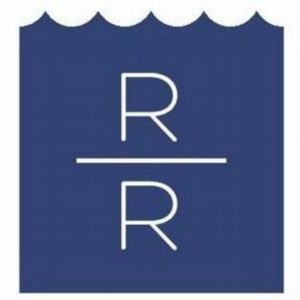 Rowand’s Reef is well positioned to serve all your water equipment needs, for indoor pool training, as well as open water training and competitions. Items for sale include wet suits, hoods, gloves and neoprene socks for open water swimming, as well as goggles, swimsuits, and tri shorts. Available training accessories include fins, pull buoys, swim buddies, and snorkels. Rowand’s Reef also rents wetsuits for open water swimming. For all current SAA members, Rowand’s Reef offers 10% off any item. For further information or to shop online, please visit our website at www.rowandsreef.com. The Run Inn has two stores in the Lower Mainland to serve your running needs, one in Kerrisdale (Vancouver) and the other in Tsawwassen (Delta). The Run Inn offers discounts to all current SAA members and also hosts a special night for our club offering discounts at their Kerrisdale store. Check them out for your next set of running shoes or running gear!